Job boards are a tricky business. They have two types of customers, and in many ways they aren’t buying what you offer–they’re buying what they have to offer each other. As a job board owner, you are the facilitator, the venue through which they are able to find each other. You create and maintain a space that attracts both parties. Despite evidence that job boards are a significantly big, if not the biggest, source of hires, many employers and recruiters don’t always feel like they get their money’s worth. They want quality applicants. If you’re not attracting those applicants to your board, you’re never going to make your recruiting customers happy. I think it’s important to draw lessons from outside of the job board/recruiting space, and job boards could benefit from viewing themselves more as online communities. Online community building tends to be about creating loyal, engaged, regular customers, as exemplified in this list Momentology.com compiled on brands who’ve done great brand-oriented community building. In the world of recruitment, candidates are sorted into Passive and Active job seekers. Passive candidates are usually employed, and aren’t totally focused on the job hunt. If an opportunity comes their way, they might apply. Active job seekers are trying to find a new job ASAP, and many are unemployed. Employers tend to view the Passive type as more favourable (much to the frustrations of un(der)employed job seekers everywhere), but they are also more difficult to funnel toward open jobs. They’ll sign up for the odd email alert, and browse new postings once in a while to kill boredom, but they’re not catching everything. That’s where community-building can come in. 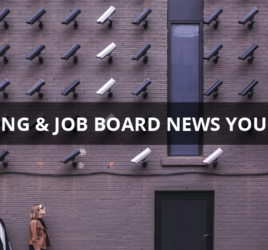 If your job board is more than just a place for job postings, but a constant resource for career development and support, your job board can become a part of their standard online routine. 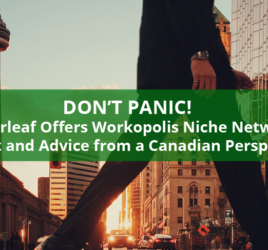 They’ll skim Twitter for some news headlines, read that new tech gadget review, save some jobs to look at later, leave a comment on the quirky fashion blog their friend writes, and check out the resource for negotiating salaries you shared. They associate your brand with more than just job posts. You’re a resource, a community, and a part of their lives, regardless of where they fall in the spectrum of Active to Passive job seekers. And you increase the rates of qualified and engaged candidates applying for the jobs your customers post. Blogging also gives you the opportunity to test keywords and topics out with your audience. Maybe no one cares about dealing with scheduling conflicts but everyone wants to know more on the latest minimum wage debate. You can then use this to provide more content that interests your audience, and provide valuable insight to your customers. Make it easier to share jobs, blog posts, and anything else you have to offer. Social media sharing options makes this an easier task for visitors. I can’t tell you how many times I’ve been poking around different types of job boards, seen a job that a friend would be perfect for, and used the “email a friend” option to share it. Creating and maintaining your own social media channels also serves as an excellent way to reach more people, maintain regular contact, and communicate with your users. Whether it’s surveying your user base and sharing the results, having a simple poll, or inviting users to share their stories and advice–roll out the welcome mat and invite them in. Find ways to engage your candidates, ways for them to connect with each other, and give them opportunities to show off where their talents and expertise lie. This can work especially well if your job board focuses on a specific industry or profession, because even if they’re not looking for a job, people who care about their work are interested in learning and improving. It doubles as a way to highlight the high quality of the candidates you attract. The same way you would prefer to have more quality organic traffic than paid traffic with high bounce rates, you want an engaged candidate community that associates your job board brand with multiple benefits to their career, not just another black hole to toss their resume into. If quality candidates are the product you’re selling to employers and recruiters, don’t just build a job board: build a community. Your paying customers will thank you for it when they see engaged candidates and quality applicants.